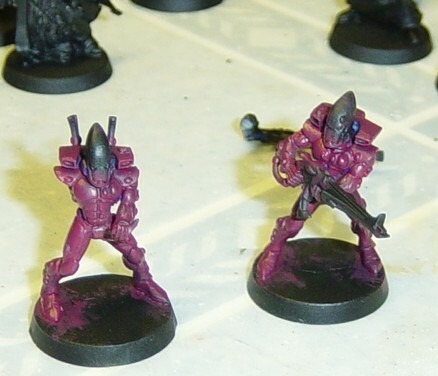 I primed the Eldar models as they so feverently desired, and then found I could not resist the urge to start painting them. 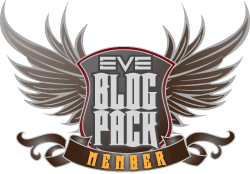 I've got to stake my claim on the scheme you know! The guardian on the left didn't work out as well as the guardian on the right. Too much Blood Red I think. 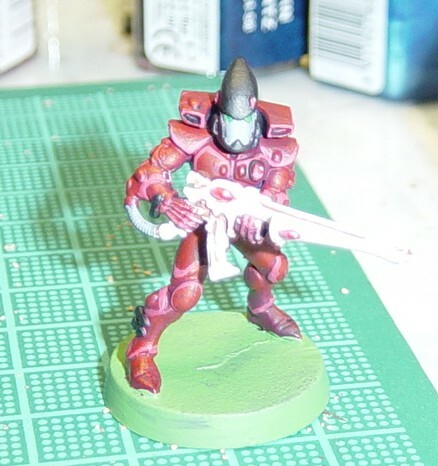 I finished the red with a 50-50 Blood Red/Skull White mix on the edges for highlighting. 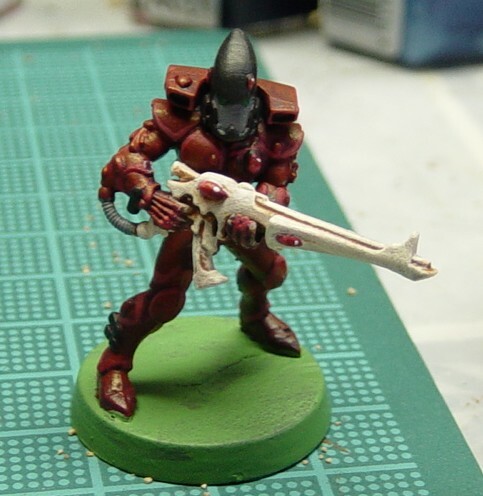 Next I worked on the weapons, giving a base coat or two of wraithbone white as I call it, followed by a brown wash. 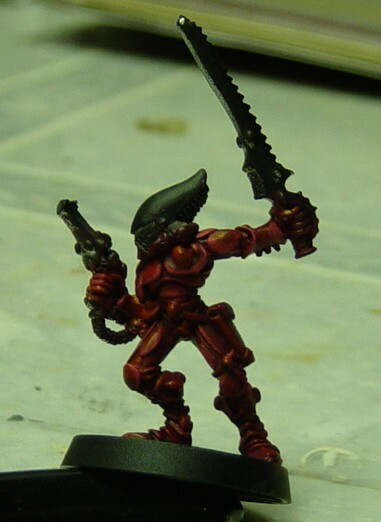 I then went lightly over the weapon again in wraithbone, and did the helmet black with grey faceplate. 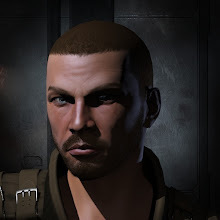 Then I did up some gems to give him that Eldary look. I was so excited with the results that I started in on a test striking scorpion model as I was waiting for the basing glue to dry. And tried to fix up that second guardian. I'm stoked! 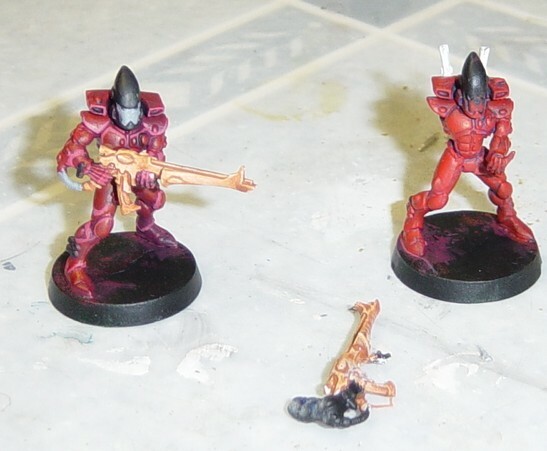 More Eldar to come. I really like the colours! I must say, the new trend to paint aspect warriors with the army colours instead of the "standard" shrine colours adds a lot to it. 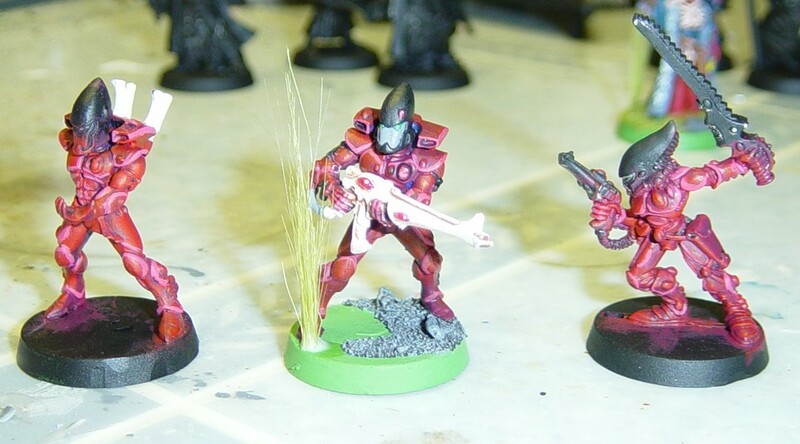 I have one colour (red gore) throughout my eldar army which helps tie it all together but the green scorps, the white banshees, etc.. just don't quite fit as well..